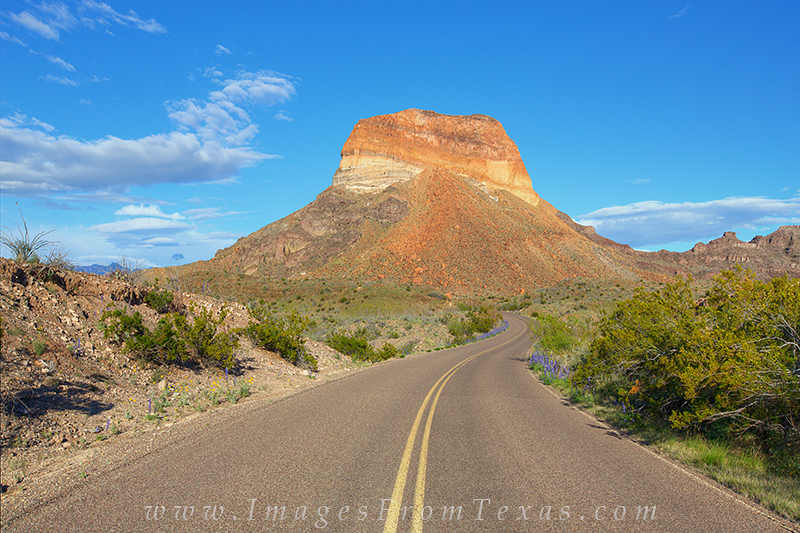 Cerro Castellan rises 3,293 feet above the desert floor in Big Bend National Park. The Ross-Maxwell Scenic drive takes you around this ancient volcanic peak. In the late afternoon, the layers of lava and ash seem to glow in the fading orange sunlight. Here, small patches of bluebonnets line the roadsides in springtime. Photo © copyright by Rob Greebon.